"To Hand on to Others the Fruits of Contemplation"
"Contemplative activity at the service of the Church is the definite pattern set by St. Dominic for the Nuns of the Order, for he founded them ten years before the Brethren to offer their prayers and penances for all 'preachers of the word.' From the very beginning of the Order, St. Dominic associated us with 'the holy preaching,' through a life of contemplation, liturgical prayer, work, and sacrifice. He founded the nuns before the friars, knowing that the success of his preaching depended upon and was linked intimately with the intercession of his daughters. Our life is apostolic and universal in scope, consisting, according to the Dominican ideal, in giving to others the fruits of contemplation: 'contemplata aliis tradere.' 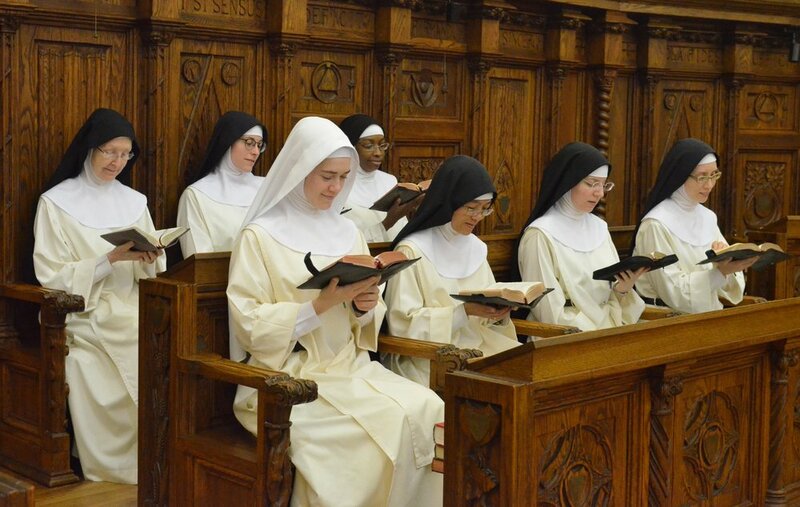 Yet, the ultimate end of the Dominican contemplative nun is to live by God alone and for God alone. While it embraces our personal sanctification and the apostolate, nevertheless transcends them both. It is transformation into Christ through Love."